Martin’s Properties Holdings Limited, a leading property investment and development company based in Central London, operating throughout the South of England, is delighted to announce the new opening of Sticks & Sushi, Schoen Clinic and a new home for KOBOX in the Kings Road, Chelsea, London. The three lettings have an aggregate initial annual rent of £1.1m. KOBOX, a boutique fitness studio offering a 50-minute, high intensity class that uses all the fundamentals of boxing, has agreed a 15 year lease of 107 Kings Road, London. Each unique KOBOX studio is equipped with a professional standard sound and lighting system that sets the tone for a Fight Club meets Nightclub environment. Originally established in Chelsea in 2015, the new 7,574sqft site will be the largest studio for the boutique fitness company allowing them to expand on their current Chelsea Studio and the popular KOBOX Kitchen. Sticks’n’Sushi, the Danish restaurant group known for its menu offering traditional sushi alongside grilled yakitori skewers, has agreed a 15 year lease of 111-115 Kings Road, London. Set to open in the Autumn, Sticks‘n’Sushi Chelsea will take up prime position on Chelsea’s Kings Road. The new restaurant marks Sticks’n’Sushi’s sixth restaurant in London, and eighth in the UK. Schoen Clinic is the largest family-run hospital group in Germany expanding their UK footprint with a third facility. Schoen has agreed a new 15-year lease on the recently completed space totalling 4,437 sq ft (412 sq m). The scheme the junction of Radnor Walk and the Kings Road forms part of a larger mixed-use scheme owned and developed by Martin’s Properties, including a restaurant, medical facility, office space, three apartments, four new townhouses and two refurbished townhouses. Tom Martin, Executive Director of Martin’s Properties Comments: “We welcome Schoen Clinic and Sticks’n’Sushi to Chelsea, and are thrilled to have them and KOBOX as customers. Each will add to the vibrancy of the area and further enhance the lifestyle offering in this distinctive neighbourhood. KOBOX has been attracting new customers to the Kings Road since its opening in 2015, and we are delighted that they have taken a permanent home here. Joe Cohen Director of KOBOX comments: “We are thrilled to take up permanent residence in the Kings Road. Since opening in 2015 we have created a strong fitness community of both local residents and those who travel in especially to train with us. We are very excited with the new space and the opportunity this allows us to expand our offering”. Andreas Karlsson, Operations Director of Sticks ‘n’ Sushi comments: “We are very excited to be opening our doors in this vibrant location in a city we have come to love as much as our home city of Copenhagen. We would be happy to think that the local community and visitors will enjoy a taste of Tokyo via Copenhagen in one of London’s, if not the world’s, most iconic streets”. 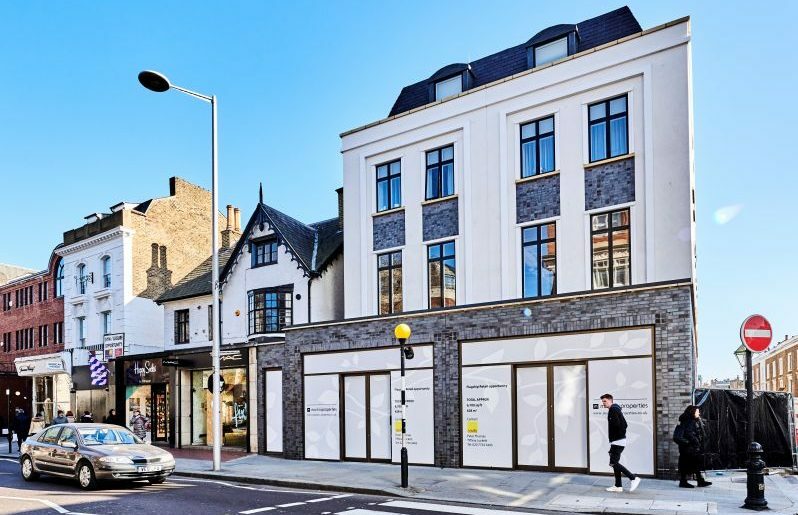 Martin’s Properties were represented by Savills for all three deals, Davis Coffer Lyons acted on the letting of 111-115 King’s Road.